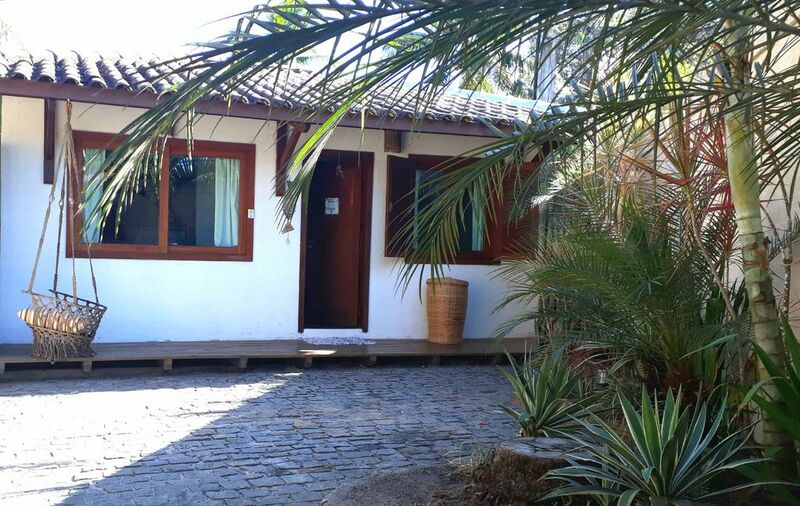 The chale is located inside the splendid Condominium 'Pé na Areia', q is in front of the Araçaipe beach. It is about 8 min from the fishermen's beach where you will find kiosks that serve meals, etc. Going to the opposite side you will find other kiosks about 15 min, where you can enjoy live music. The front of the condominium is located on one of the main streets 'Estrada da Balsa', where you will pass Buses or Vans permanently, directly in front of the condominium and arrive at the center of Arraial in approx 5 min. The chalet is about 35 mts. It is well decorated with rustic furniture, comfortable, with air conditioning and fan. In the space are a double bed, integrated the living room q is opposite, where there is a single bunk bed and kitchen. Accommodates 4 people. Vacancy to park within the condominium itself. The stays include bed linen and bath, water, electricity, gas, wi fi.